Colder weather upon us and I want to sit around by the fire swirling a fuller bodied red while enjoying the indoors for a while. The wine bar SOIF de Veronique Rivest is just such a place and so close to where I live it may be embarrassing how often they will see my face over the winter. The selection of wine is awesome, I don’t even mean that in the late 80’s teenage kind of way, I mean awe inspiring. Sommelier Veronique has gone out of her way to create a venue that is great for the sommeliers who want wines that aren’t on menus all over the city and for the regular folks who may want to learn about wine that isn’t in their usual repertoire during a trip to the liquor store. I had one such wine the other night and I encourage you to seek it out. Perfect for colder weather and hearty comfort food but slightly chilled and this would pair really well with hot weather BBQ’s. It is medium bodied with some good grippy tannin that softens quickly. the alcohol is really well balanced and the blackberry and anise nose was quite pleasing. Normally this grape is used for Pisco and I had only ever seen it in liquor form. 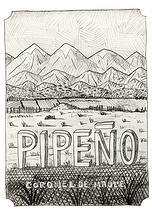 There is some Pipeño made as wine and I for one am thankful for that. It is normally bottled in one litre containers because it is for the people to drink, not cellar. 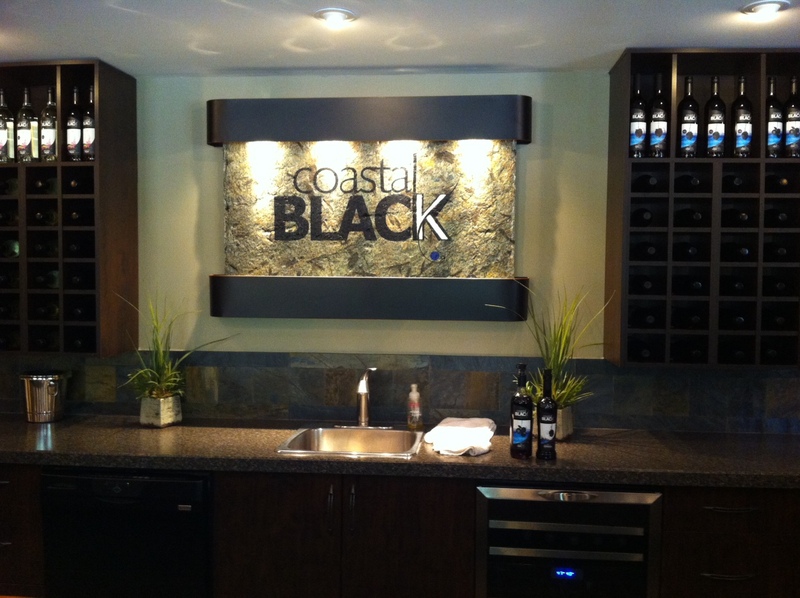 SAQ had 750mL bottles but they have disappeared off the shelves as I write this article. 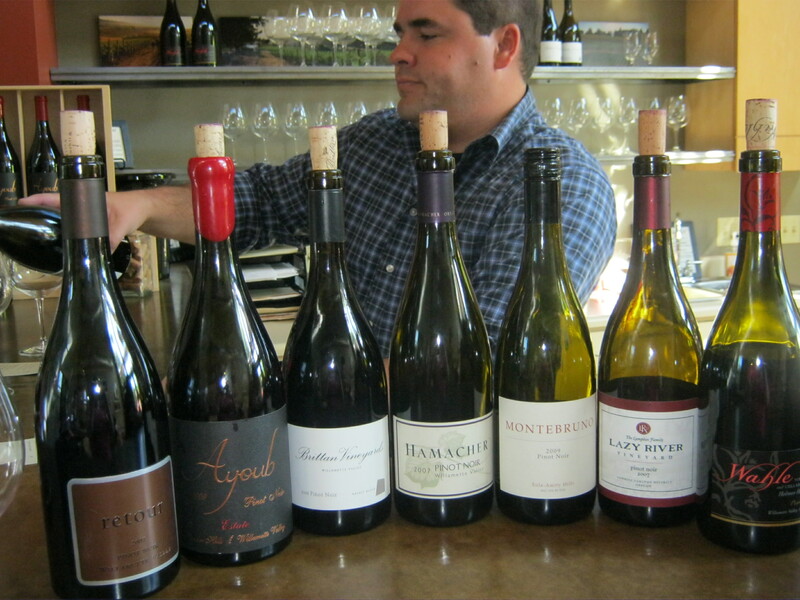 Pinot Noir tastings are not easy at the best of times. Add to that brown bagging them and hoping that the 3 on 3 (Old World vs New World) will bring out a shining star or a personal gem that may be less than $100. I faced this challenge head on and the results were very interesting to me. One old and two new world. The flavours I like in the old world include earth, leather, forest floor, mushroom, some pepper, some cherry. The flavours I like in the new world… well let’s just say they are evolving but generally strawberry and cherry with some baking spice and vanilla for good measure. One of my biggest problems with new world Pinot of yore is that it was just too jammy and fruity and completely lacked real earthy flavours. Now there are amazing New World offerings and so I wanted to see if wines in the same price range could dictate the flavour quality ratio. Conclusion- $15 New World Pinot is fruity and light and can have some simple flavours that fit wonderfully well with a cheese and charcuterie plate. My pick is the Leyda from Chile. While great on its own too I like the balance of some earthy flavours along with the red fruit. There is no $15 Old World selection in a 750mL that I would recommend so New World wins this round. $30 gets you lots of nice earthy, forest floor, barnyard and spicy overtones from both NW and OW. I ended up with a tie and I like that. I am not stuck having to choose. There is more than enough love for both sides of the world. 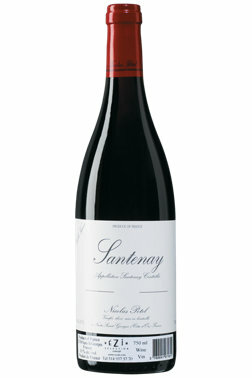 This Santenay from Nicolas Potel is a real stunner for the price. Matches beautifully with grilled fish and roasted chicken or pork. 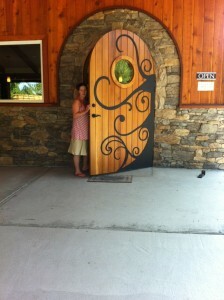 Oregon has been a favourite region of mine since my first drop of Argyle Brut (and then an extended visit to the area). 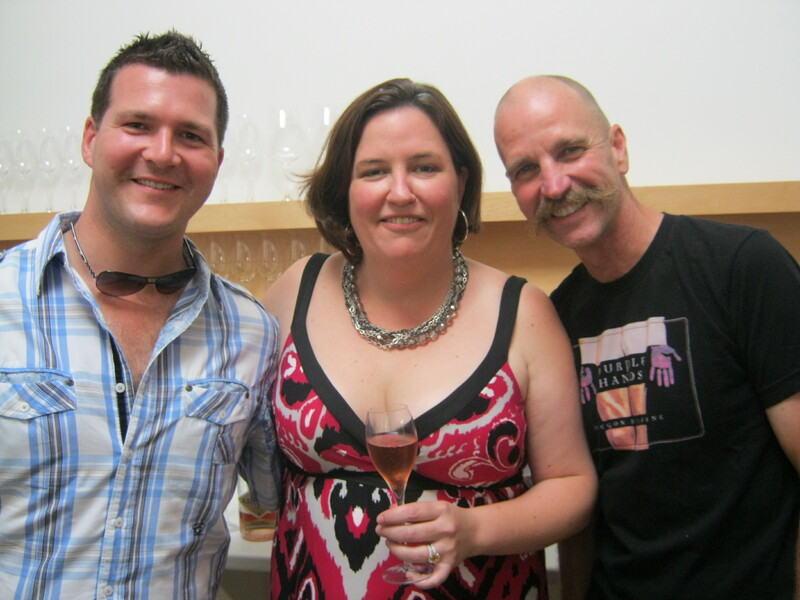 Ken Wright is a winemaker with the Midas touch. If you have a chance treat yourself and buy his single vineyard stuff. 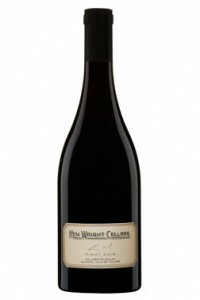 Ken Wright Cellars makes incredible wine. Period. Believe me this is my favourite kind of tasting so wait for upcoming “test nights” and the favourites that may stem from them. 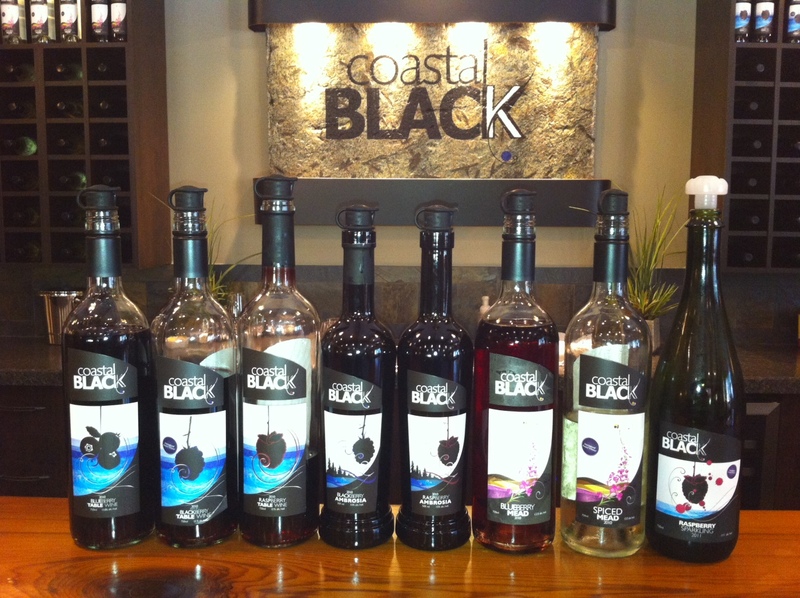 After seeing what Coastal Black had to offer I was hooked to find more top quality fruit wines that I could talk about upon my return back east. Mooberry Winery was next on my tasting list. What a lovely property. 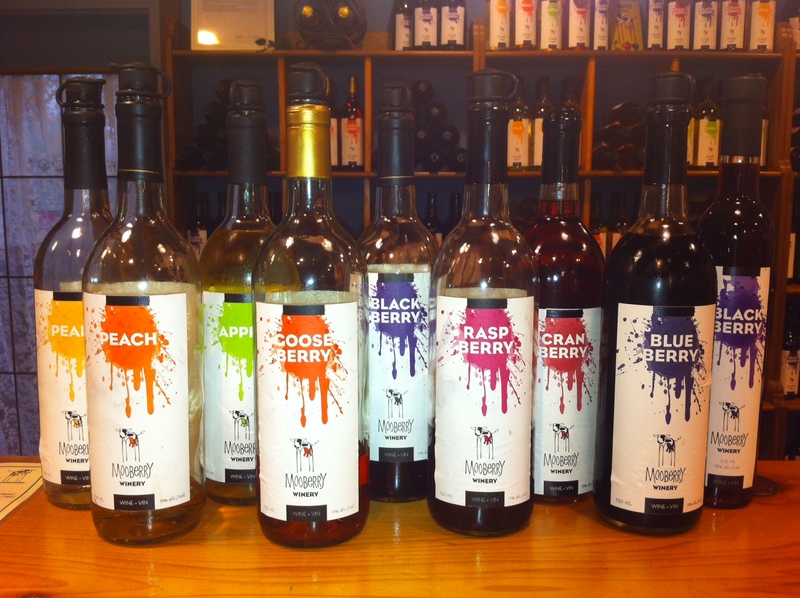 Mooberry is a part of the Morningstar Farm and Qualicum Cheese Works in Parksville. With plenty to do for the entire family this is the type of attraction I like when travelling with my family. So the boys went to the barns to see the animals and I wandered into the shop, sidled up to the tasting bar and sipped my way through their line-up. My top choices were the Apple, Gooseberry and Blackberry Dessert. At the tasting the hostess paired the wine with cheeses and chocolate. The combination was truly magical. As we tend to drink these wines as an aperitif it seems to go hand in hand with a cheese and fruit plate. There is no reason you couldn’t try it with super rich pâtés and rilletes, especially the unctuous peach or cranberry wines. The bottles I brought back have already been paired with Charcuterie. 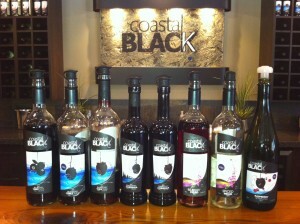 The hosts are well informed and the tasting was a great way to get learn about matching fruit wine and food. They have a beautifully stocked shop filled with foodie delights plus some to go items if you are a little peckish. Plus the smallest detail also had the most impact on me. The plastic corks in the bottle were the black and white of a Jersey cow’s body. Very well done. I was truly impressed. I am always amazed at what some people put in a bottle and consider good wine. This was the case when travelling in the Maritimes and tasting some fruit wines so many years ago. The only winery that ever caught my attention was Rodrigues, because it stood head and shoulders above the rest. My palate has since matured and I can now appreciate many fruit wines for what they are, an alternative to wine made from grapes, and enjoy them with many food pairings. 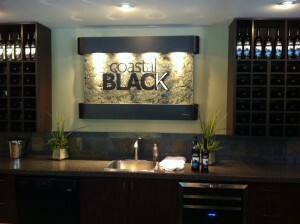 My stop in Courtenay gave me the chance to head to Coastal Black, a winery I had been reading about lately. 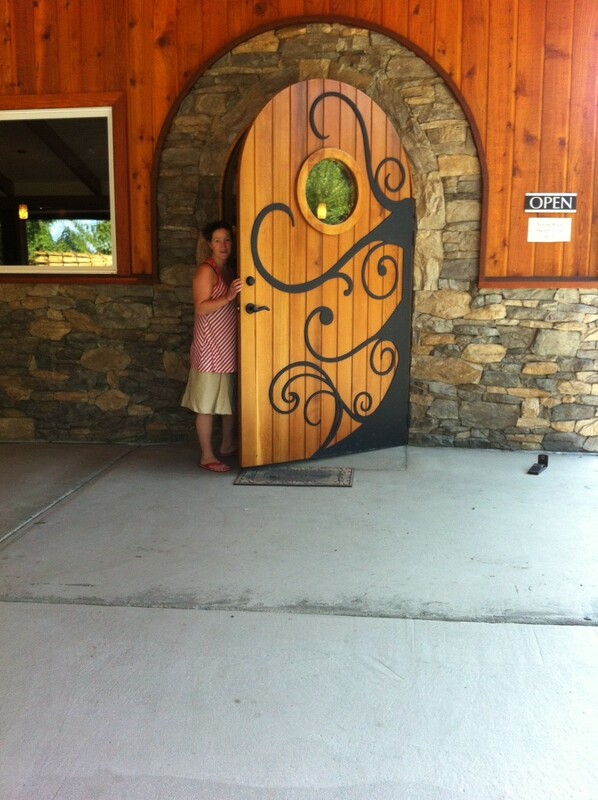 The entrance and the grounds are gorgeous and once inside the contemporary feel of the tasting room rivals many wineries I’ve visited. Blueberry Table- slightly bitter aftertaste but great well rounded body and delicious blueberry flavour that wasn’t too overwhelming. Raspberry Table- Soft raspberry nose and really well balanced with a great finish. Blackberry Table- The largest cultivated crop in Canada with 80 acres under bush. The nose was a little alcoholic but the flavour was outstanding. Blackberry Ambrosia- the nose was slightly “off”. Almost like a fault but then the taste was really smooth and soft. Not my favourite wine because of the smell. Raspberry Ambrosia- Soft and smooth all the way through. Great as a dessert accompaniment. Blueberry Mead- Unique and not qualified as wine. I found it very interesting. Their formula is 3 parts mead to 1 part fruit. The honey flavour really shines through. Spiced Mead- My favourite overall. 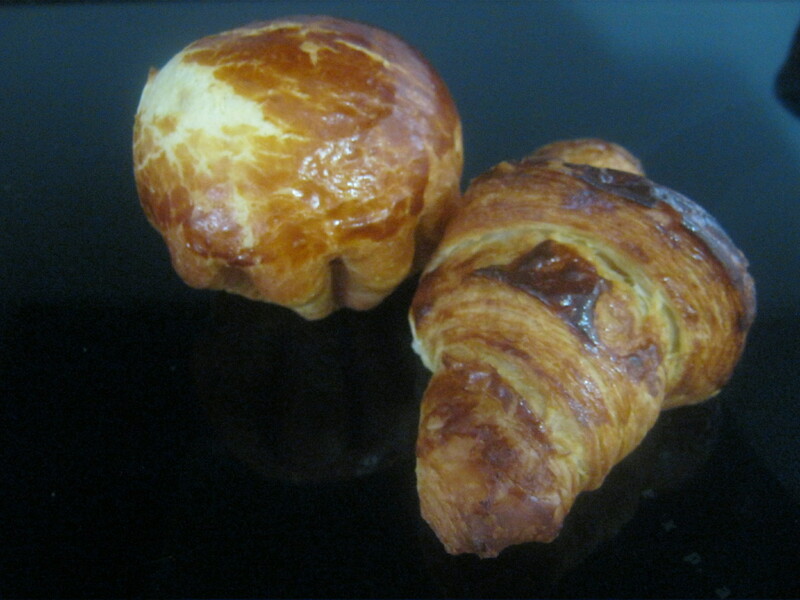 Flavours and nose of ginger, clove, cardamom, star anise, nutmeg and cinnamon and orange rind. Well balanced and just fun to sip all year round. I had lots of pairing thoughts running through my head when I tasted this mead. Raspberry Sparkling- Think brunch and move over Mimosa. This wine was terrific as an aperitif, although a little on the sweet side for my palate. All of these wines are under $20! I was so impressed and give a high five to the owners of this winery for a clear vision and decor to match a world class facility. Judging by the medals they are winning I am sure we’ll be hearing more from them in the coming years. And what a tasting it was. Winter days are so much better when we get to go out for wine. The quality coming from the Niagara vineyards speaks volumes about what is happening in the winery itself. Grapes vinified into an expression of terroir is never more evident than with the super rich 2010 vintage. 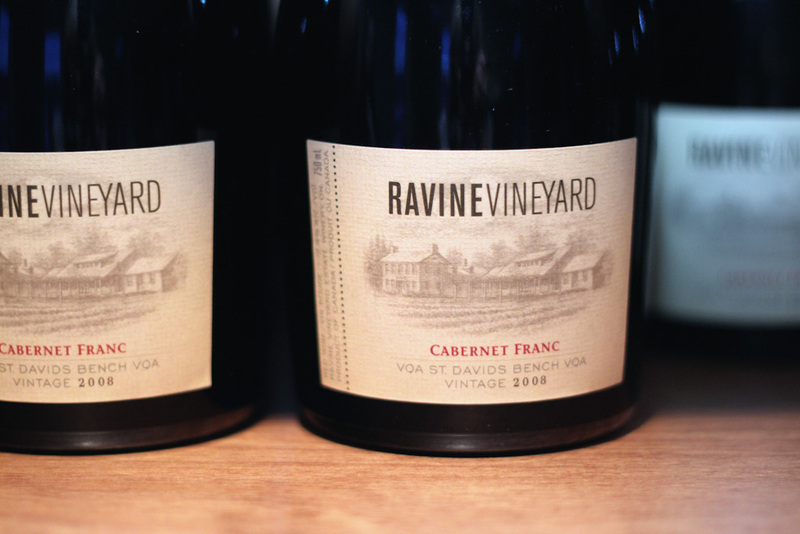 For me the real standout of the entire tasting was an outstanding Cabernet Franc from Ravine Vineyards. Charming, mouth filling, all black fruit and not a trace of green pepper that has become synonymous with Niagara Cabernet Franc. It left me wanting more and certainly making me start planning a visit to Niagara to see the winemaking talent that is dripping from every barrel. Noon sharp with my two boys and my best girl D we joined the line for a place at the Momofuku lunch counter. The steamed pork buns were a must and seconds came soon after. I adore the fatty pork belly, slightly sweet and so succulent, dotted with Sriracha, green onion and a crisp pickled cucumber. Heaven is a tiny pork infused soft bun of love. If this restaurant ever came up north to these parts I would devour so many of these beauties, but for now it is a once a year guilty pleasure.